In Skyforge, the Kryomant is the first fundamental damage class and therefore intended for all players. 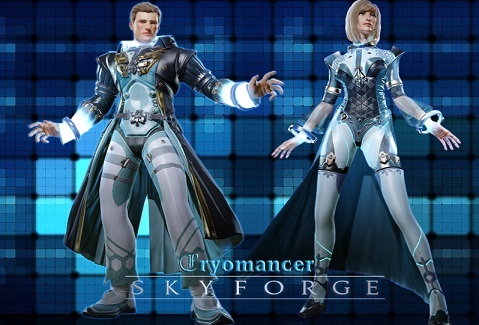 If you want to play at the beginning of your career Skyforge optimum damage dealer, there is no alternative to the class of Cryomancer! The fragile Mage is for a highly mobile, has good surface attacks and yet also has good capabilities for Enemy Controller (CC). The Cryomancer is a damage dealer who can show both burst damage and damage over time effects and control. This makes him a very rounded character that prepares you well on the other damage classes. He also uses a renewable resource called cryogen and has two rechargeable standard attacks. The first of these, Cryonic Pulse, causing either a target or injury concerns after charging multiple enemies. The other attack is called Ice thorn and caused much damage to the target. After charging still comes a damage-over-time effect added. Optimally, you play the Cryomancer as remote fighter who is constantly on the move and slows enemies with ice and heckled with permanent effects. This is the Cryomancer a very effective solo class, with good instances can Farms empty, thus generating valuable resources for the character progress. Skyforge: What skills do I need? For a good build in the leveling phase of Skyforge we recommend the following skills. Optimally, you have packed equipment, which improves the mentioned skills. Ice Comet A solid-damage skill that slows the target. Ice Statue A witty defensive skill that creates a statue, which directs for 10 seconds, the attention of the enemies to themselves and this also freezes! Cryo Beam Causes mighty hurt in line of sight, like a cold flame thrower! Rough ice Charged attack skill skill that inflicts a lot of damage. Snowstorm A very powerful surface effect which additionally freezes enemies in place! After you have selected your skills, you proceed as follows against your enemies. The fight always begins with blowing snow to make the most of the surface damage out. Then you invite your attack on the right mouse button, Icethorn, and miss the enemy a severe blow, including damage-over-time effect. Continue with your killer move, the Cryo beam followed by Rough ice. If the enemy is then stirred, her spamming him with Icethorn and Cryonic Pulse until he gives up the ghost. For harder enemies and boss battles you always pays attention to the charging of your cryogen and sets if necessary check-effects in order to relieve the tank.